Children with dyslexia found to have ‘normal vision’. There is widespread belief in the scientific community that dyslexia, which affects around 375,000 UK children and has a lifelong impact on learning, is not caused by sight problems. However, many practitioners and professional bodies offer dyslexic children eye treatments and routine eye checks to ensure glasses are offered if necessary and then that no further testing is needed. A new study, led by the universities of Bristol and Newcastle, which analysed the eye test results of 5,822 children found that the majority of the dyslexic children had perfect vision. The study is published in the journal of Pediatrics Digest. Previous studies of the evidence for vision-based dyslexia treatments conclude that there are no robust data to support them and that most of the available studies, until now, were based only on small numbers of children. This makes it hard for families to know what is best for their dyslexic child, state the team. The researchers looked at the results of comprehensive eye tests in 5,822 participants in Children of the 90s Study, a large population-based study in the southwest of England. Of these children, 172 (three per cent) were diagnosed with severe dyslexia and 479 (eight per cent) were observed to have moderate dyslexia. The team compared the test results of the children with severe dyslexia with the other 5,650 children of the same age in Children of the 90s who didn’t have dyslexia. The vision tests, which included moving both eyes and combining information from both eyes, were conducted when the children were aged between seven and nine (between 1998 and 2001). The data findings showed that the majority of the dyslexic children had perfect vision on each of the tests. For example, more than eight in ten (84 per cent) of the dyslexic children fused (combined) information from each eye perfectly whilst 16 per cent did not, but importantly one in ten (11 per cent) of non-dyslexic children didn’t fuse either. 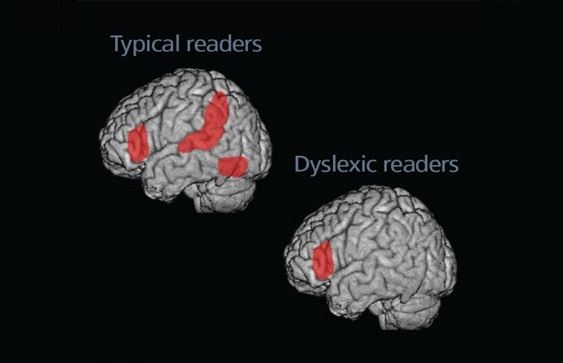 Similarly, the results showed that 3-D vision was excellent in more than eight in ten (83 per cent) of the dyslexic children and was only seriously reduced in two dyslexic children and in another 13 children who were not dyslexic. The team explain that these population-based results give the ‘bigger picture’ and show that vision problems are rare in dyslexic children. The few vision impairments seen in the dyslexic children also occurred in their non-dyslexic classmates in the current study. They go on to add that some practitioners feel that vision impairments may be associated with dyslexia and should be treated. However, the results show that the majority of dyslexic children have entirely normal vision on the tests used. The researchers state that the findings may reassure families that their child’s sight is very unlikely to be affecting their reading ability (assuming the need for glasses has been ruled out) and so they can pursue other options for supporting their child. Fortunately there are treatments and training programmes to help children with dyslexia that do have a good evidence base, including training in phonics (speech sounds). The team hope national bodies will produce evidence-based guidelines for the management of children with dyslexia and that charities and support groups will signpost families to the best sources of support for their children and present a balanced view of all the evidence. Brain-imaging studies show that, while reading, most people activate areas in the left temporal cortex and other regions of the left hemisphere. Dyslexic readers, on the other hand, underactivate these regions. (Both images show the left side of the brain.) Twomey/Eden, Georgetown University. There are wrong visual perception. REY TEST show it clearly. There are tonic convergency insufficiency, slow test of convergence shows it, the are loosing of visual contrast, computerized fields show it.